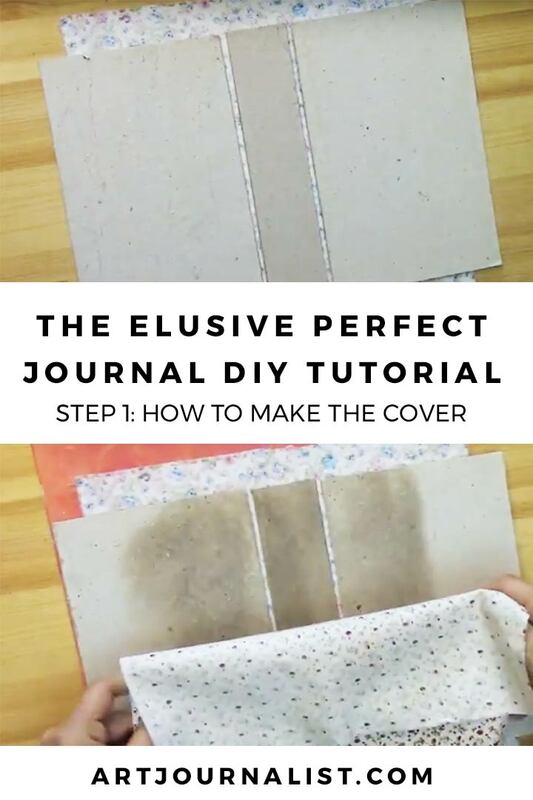 I *think* I may have finally found the elusive perfect no sew DIY Journal, so I’m going to share a little video tutorial that shows the process! The best part? 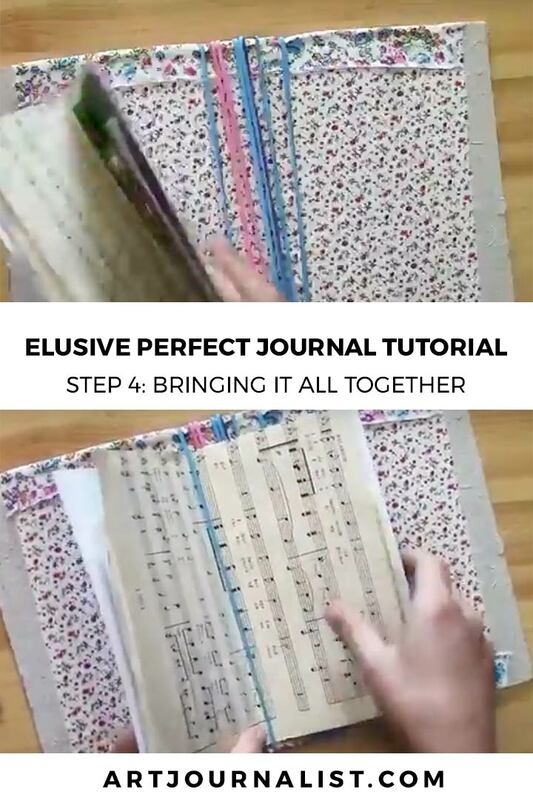 This is a NO-SEW journal, which means you don’t need to worry about jabbing and poking your fingers while trying to put together the signatures! Awesome, right? This style of journal in my video is a classic junk journal, using up little bits of whatever and everything and anything I happen to have. Of course, you can always use your own materials that you like to use. If you want something a little cleaner, you can definitely use your favorite watercolor paper or blank card stock! The journal uses rubber or elastic bands to create a faux midori style travelers notebook – so yes, that’s right – you don’t need to sew the signatures in any way! The secret is to use rubber or elastic bands to secure the pages! Spray Adhesive: You do not HAVE to use spray adhesive – but boy does it make the process a lot easier and less messy! You can substitute with a variety of things, such as regular tacky glue for example. Cardboard or Book Board – This is for the cover. I use old book covers, but you can use thick cardboard or chipboard instead. Use what you have – this is a junk journal afterall! Fabric: Cut your fabric to be about 1″ around bigger the size of your book covers. In my video I show below, I didn’t worry too much about the fabric being the right size, since I plan on adding more to the cover eventually. You’ll need two pieces – one for the front, and one for the back. Large Rubber Bands or Elastic Hairbands: I used 5 file-folder size rubber bands for this journal prototype. I really also like using Goody Elastic hairbands – the thin big kind that you can find in the hair accessories aisle at the store. You can also order these online at Amazon. Misc. Papers: The best part of this journal is you can reposition the papers easily if you’d like. Since it is only the rubber bands that hold the papers in place, you don’t have to worry about wanting to move papers around later. I use an assorted size of papers – make sure that you have papers big enough that they can be folded in half. Most of the supplies and tools I use can be found at just about any major retailer or craft store. The closest store that sells anything like craft supplies near where I live is Wal-mart, and usually I can find some fabric scraps as well as the spray adhesive in the art department. But you don’t have to buy anything. You can of course also check out different thrift shops for materials or even use what you might have around your own house! The dollar store is also a great place to find those elastic hair bands! You can also use smaller hair bands as well to create mini-books. Want to watch this tutorial on YouTube? You can find it here. The video on this page goes over the entire process of the journal step by step, so definitely recommend watching that in full if you want detailed instructions! However, I’ve also included the written instructions here as well, because I know sometimes it’s nice to have both! The whole process is pretty straightforward. Basically you cut out the covers, attach with fabric, fold your papers, and then insert each paper into the rubberbands. Easy peasy – I spent the most time sorting through all of my papers! The first thing to do is to cut 2 pieces of fabric to the desired size, and also cut the book board as necessary. For the book cover, you will need three pieces – a front and a back that are the same size, and then the piece for the spine. The spine will be the thickness of the journal – so you would probably want to make this at least 1″ wide – and there’s really no limit on how wide you can go! Of course, you don’t HAVE to make the fabric go all around the entire cover – you could very easily do like I did in the video and just use a small piece of fabric. If you plan on eventually decorating & doing something different with the cover anyways, you definitely don’t need to have the fabric wrap all around. The Cover is made relatively easily simply by laying down the piece of fabric and then using the spray adhesive to attach it to the book board. Simply spray the boards, and press down onto the first piece of fabric. Next, spray the bookboard and then press on the second piece of fabric. Once you have that, you simply need to then fold over the fabric on the top and bottom and use the spray adhesive to keep it in place. Spray adhesive dries pretty quick, but you definitely want to make sure it is completely dry before moving onto step 4! Don’t worry, Step 3 is lots of fun and will definitely keep you busy! While the cover is drying, it’s time to prepare all of your pages to create signatures. A signature is simply a group of papers that are folded together. Each piece of paper we use in this journal will be folded in half. This is good to know when you are cutting the pages so you can have a good idea of what size to use. 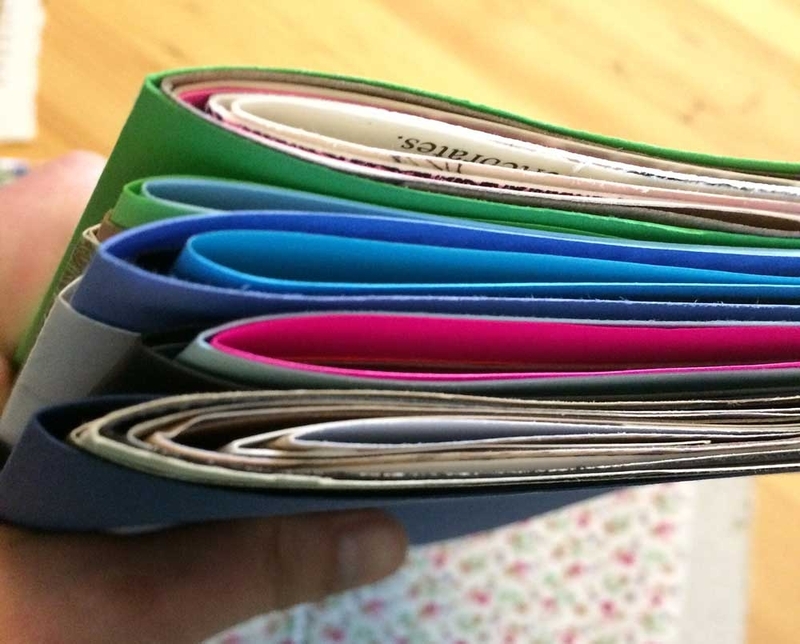 So, for example, if making a 6″ x 9″ journal, you would want to use papers that measure somewhere around 11 x 8.5″, so that when they are folded, they would be about 5.5″ wide and 8.5″ tall. Most standard sheets of paper fit into this size – Scrapbooking paper is also popular in a lot of junk journals because many varieties come in 12 x 12″ size and can be cut to the desired size. It is helpful to cut these papers to a similar size, but of course is not required – so feel free to mix and match all sorts of different sizes and shapes to your liking! Since I was working with a lot of different types of papers, I simply trimmed them as necessary and folded in a couple of others that were smaller. To fold the papers, it is helpful to use a butter knife to press down on the folds. A nice clean fold will give you better results! Once you have all the papers folded, Group all of the folded papers into sets of 6 pages or more. You’ll want a total of 5-7 groups of folded papers – these are your signatures! Here is where the magic really happens – No Sewing Needed! First you take your elastic bands and wrap them over the spine of the book. Then, all you need to do is simply insert the signatures between the elastic bands. It comes together super quick and easy! The best part? If you don’t like where something is, it’s very easy to simply slide out any piece of paper and move it around! If you have a hard time finding the supplies however, I’ve listed links to all of the materials to purchase from Amazon. Elmer’s Spray Adhesive: This is the same spray adhesive I used in the video. It makes putting together journals so much easier! Goody Elastic Headbands: These elastic headbands come in lots of color options! They are the perfect size for a 6″x9″ book/journal. Or…if you’d rather use rubber bands, you can find File Bands on Amazon as well. The possibilities are endless with this style of journal! 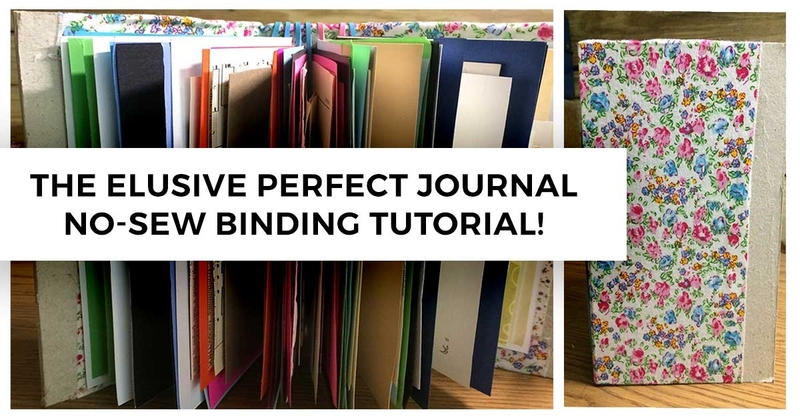 There are so many things you can make with this type of journal binding. Since it doesn’t require sewing or sharp objects, it is perfect for kids to make also! I hope you enjoy this journal, and I’d love to see what you make! 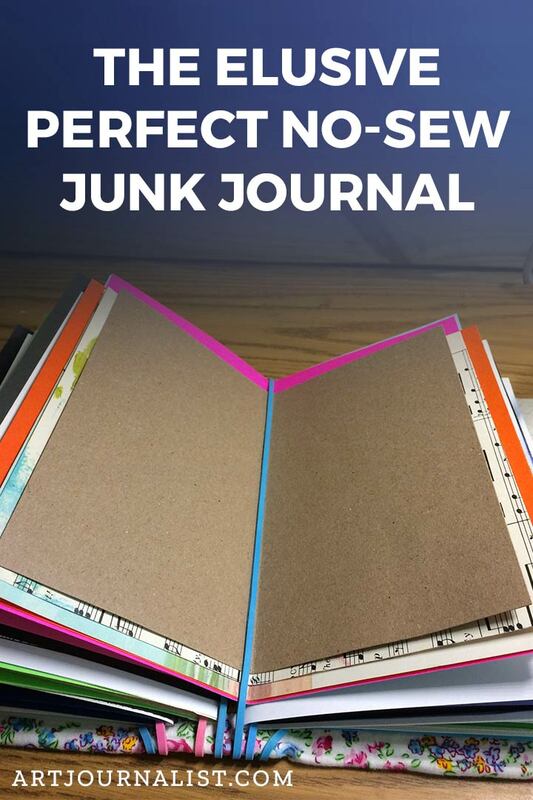 Join our Facebook Group to share your latest junk journal creations! Have questions? Need some help understanding how to make this journal? I’m always happy to answer your questions below or join us in our community Facebook group! Awesome and very thought through especially the ability to move pages/signatures. This is my first JJ and I’m a lot less stressed and more excited to do my JJ. THANKS bunches! that’s a great idea. I can’t wait to make my own. I’m so glad to have a journal my granddaughter can create herself – she lives thousands of miles away, but we had fun creating a travelers’ notebook when she was here with me. This will also keep her busy collecting all the junk paper in the house!! I think this is pretty awesome. While watching your Youtube video, I thought that this would be a great way to collect and display all of the magazine pages or other papers that I collect as inspiration! So my goal wouldn’t be to write in it, but to use it as an inspiration journal! Thanks for such a great idea!